The majority of recognition notifications is granted to applicants from Romania. The majority of the recognition notifications are issued for regulated professions, especially general care nurses and doctors. There are much fewer notifications issued for the non-regulated professions such as office clerks and electrical systems technicians. The majority of applicants receive full equivalence. This is especially the case with regulated professions (about 90%). The recognition rate of those wishing to work as office clerk (79%) or electrical systems technician (77%) is also very high. In terms of the recognition of foreign professional qualifications, Poland is the second most important country of training for Germany. There is a great variance regarding the recognised professions. The general care nurses rank first, followed by physiotherapists and non-regulated professions such as office clerks, electrical systems technicians and motor vehicle mechatronics technicians. The recognition rate of those trained in Poland varies depending on the profession concerned. The majority of those wishing to work in regulated professions such as doctors or general care nurses receive full equivalence. Furthermore, the success rate of those trained as sellers is 96,2%. However, the motor vehicle mechatronics technicians and carpenters trained in Poland are often granted only partial equivalence. 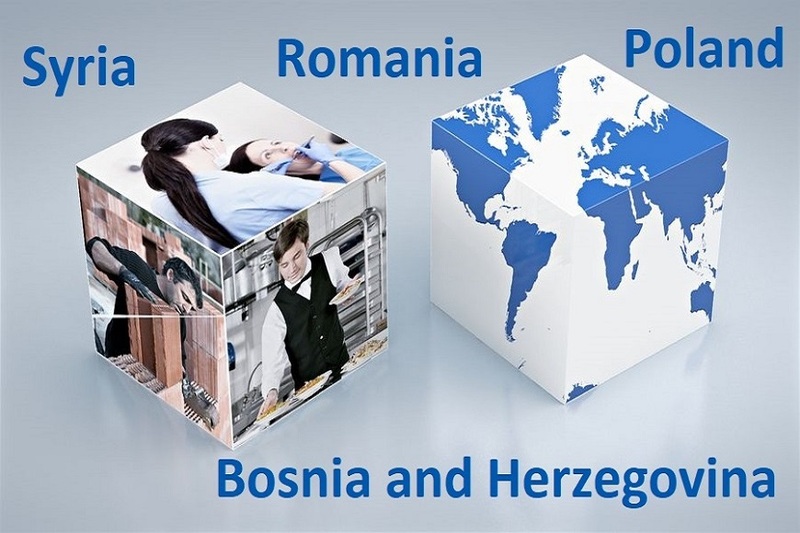 A significant share of applicants wishing to have their foreign professional qualifications recognised in Germany were trained in Bosnia and Herzegovina. The largest number of recognition procedures concerned professions such as general care nurse. The applications for recognition as electronics technicians are also worth mentioning. 76% of applications submitted by pharmacists trained in Bosnia and Herzegovina were granted full equivalence. In contrast, general care nurses were rarely granted full equivalence. In 2016, many Syrian applications for recognition were processed and the numbers keep increasing. The majority of recognition notifications were issued for doctors. A much lower number of recognition notifications concerned dentists and pharmacists. Also more than 20 cases were processed in the occupations office clerk, dental technician, cutting mechanic and IT specialist. Regarding the regulated professions (except dentists), more than 50% of Syrian applicants received full equivalence in 2016. The success rate for non-regulated professions is lower: Syrian office clerks were in the recognition procedures a bit more successful (41,5%) than Syrian dental technicians (35,9%).